There is an alternative to leaving your pets behind with neighbors or friends while you travel. Hotels for dogs in Long Island are becoming an increasingly popular alternative to leaving your dogs at home. A dog hotel is dedicated to going above and beyond being just a pet-friendly haven. Here are a few really good reasons you should consider boarding your dogs and cats at a pet hotel. You don’t have to worry about your dog not getting enough exercise while you are relaxing on a beach in Mexico. You see, after a hearty breakfast and a bowl of fresh water, your dog is treated to a walk. In fact, your dog is given the opportunity to play and socialize all day. So, between naps, your dog will be getting plenty of exercise. Pet hotels offer high-quality, nutritious meals for your dog throughout the day. A dog hotel will also ensure your pet is getting any special dietary meals that are needed. We even offer treats for your dog. When you leave your dog with a friend or family member, you might wonder if they are getting the attention you desire. When you leave your pet at our dog hotel, they will be given plenty of attention. Hotel attendants are here to play with and otherwise entertain your pets. They get the attention they want and are happy and you get peace of mind knowing your pets are in very capable hands. 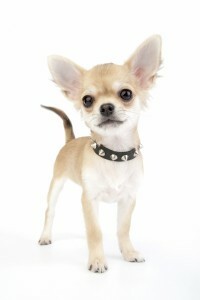 So instead of having friends or family look over your pet while you are on vacation, bring them to our hotel for dogs.